A couple of weeks ago it arrived – my precious! 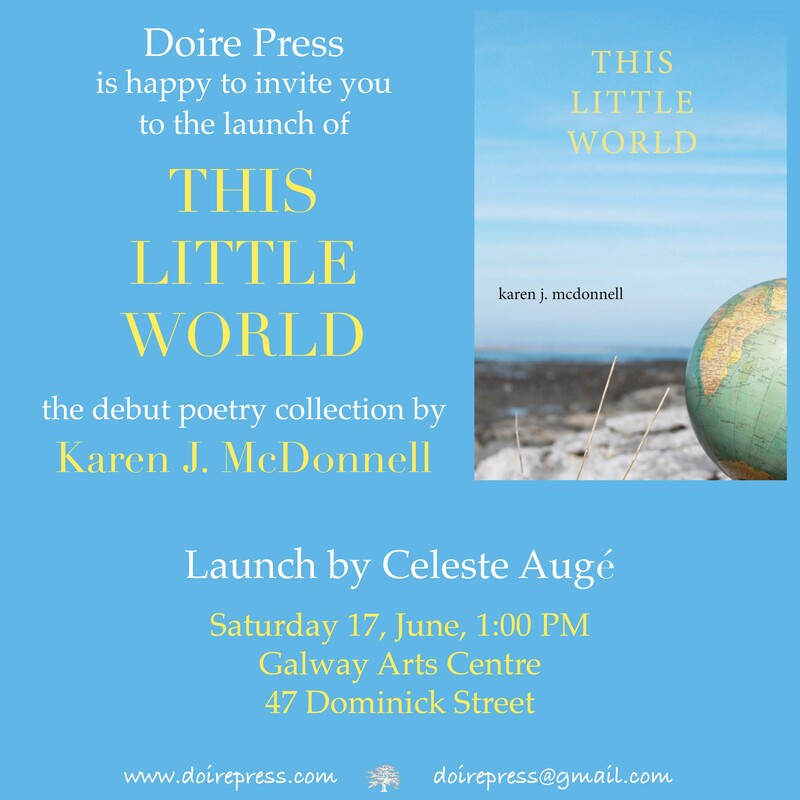 My debut poetry collection, This Little World – published by Doire Press. So, I thought, THIS is what the end result is. Yet not quite the end, perhaps, because there are reading events to come. And, what about the poems that are not in here? When the fuss has died down, it will be time to revisit them. Or maybe, put them away. And, Oh lor’! the difficult ‘second album’. Time to start scribbling in the notebook again – in between bouts of list-making and invitation-sending. In the meantime, I’m going to enjoy these moments. I’m proud of this book, and proud of myself for getting this far. Grateful too, for the support and encouragement I received from other writers, friends and family. 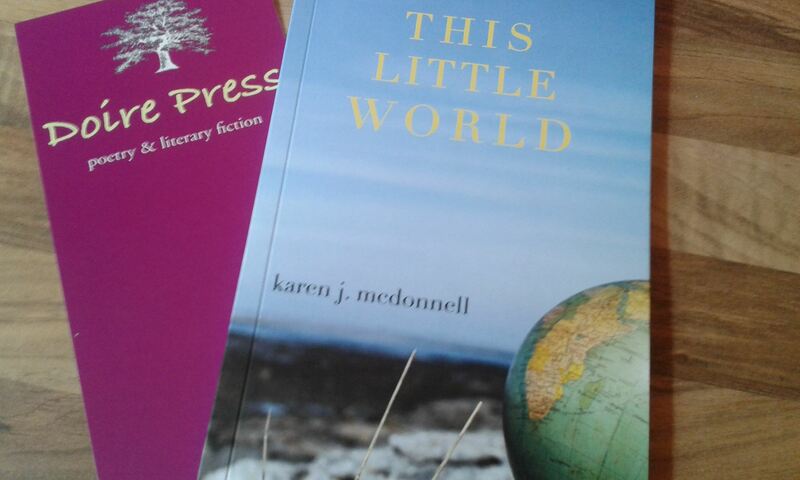 And so thankful that Lisa & John at Doire Press saw something in my work that made them want to take that chance. Speaking of invitations: if any of you happen to be in the the vicinity of Galway City in a few weeks – drop by for the launch. My first post about artists’ retreats and residencies was Forward! Retreat! – Part the First. And here is the – um – Second. But no! Read on, idiot! 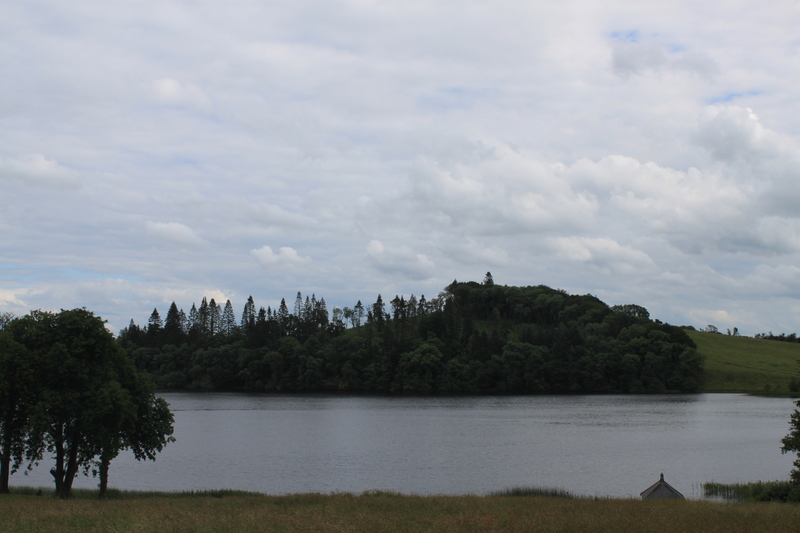 It turned out that while I hadn’t won the overall bursary, I was being awarded a 1916 Commemoration bursary of a week at the Tyrone Guthrie Centre. Cue joy unconfined. (The nice thing was that the overall bursary had been awarded to another Ballyvaughan citizen – the musician Neil O’ Loghlen.) 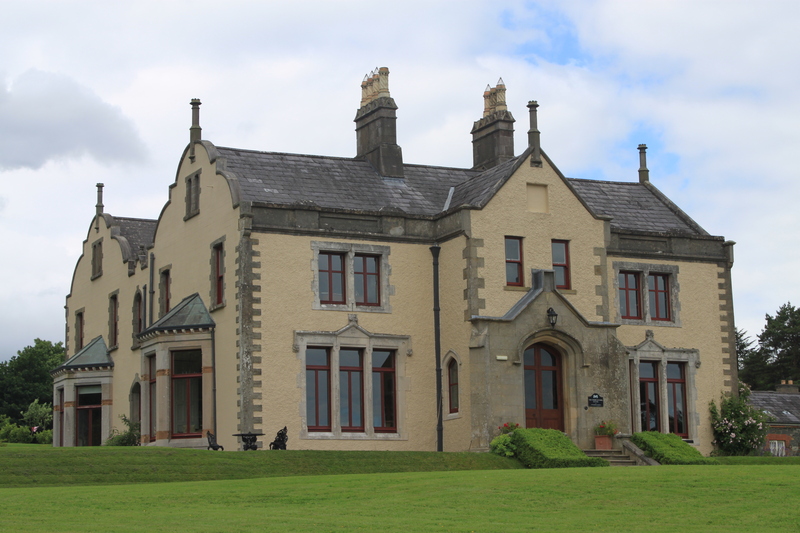 I immediately rang the Tyrone Guthrie Centre and bagged myself a cancellation in June. Perfect. The sooner, the better. Now, folks, I knew about the Centre. I had friends who had been there. 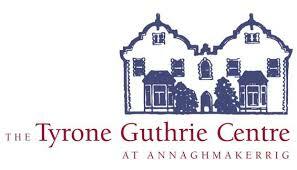 I knew it was Guthrie’s ancestral home, left to the Irish nation to be used as an artists’ residence. I knew it was in Annaghmakerrig, in Co. Monaghan. I also thought of it as unobtainable at my stage of ‘writer-in-progress’. Someone said, You’ll have fun trying to find it. I’d never driven to Co. Monaghan, but my sister-in-law grew up down the road from the place. So, route sorted. All my Facebook writer-buddies told me I’d love it. Really, it’s only having experienced Annaghmakerrig that I understand the depth of affection and gratitude it instills in the hearts of those who have spent time there. I found the turn in the road, remembered the key code for the gate, and slowly drove up and around to the front of the building. The main door was open. Friendly residents greeted me as I got my bearings and went to the office. Ingrid and Mary had a consultation with a computer that was misbehaving. Ingrid said, I’ll show you up to your room now. I bet they get a great kick out of showing Annaghmakerrig-virgins to their rooms. Reader, I nearly cried. And wouldn’t you … if you got a room like this! By the way, this photo is only half of the room. To the right was a bathroom, a Narnia-sized wardrobe, a cosy armchair in front of the fireplace. And a chaise-longue for ….. longue-ing,ing,ing,ing. And the view from that desk was …. … this. See the bookcase? I promised myself that on my last day I’d go through all the books, make a note of the titles, and in the winter I’d write a found poem from them. I found a very interesting book in there. It belonged to Miss Worby. She, they say, is The Ghost. Miss Worby was Lady Guthrie’s companion and had a little room on the front landing between mine (ahem) and the room opposite. I popped my head into her room – a sweet room, I have to say – and had a quiet word with Miss Worby. I’m not sure if I made things better or worse. Midway into my stay, I heard noises outside on the landing. The kitchen, next morning, breakfast-time: ‘You were late to bed, last night’, I said to David – a Catalan writer staying in the room across from me. Raised eyebrows, much laughter. Was it herself? Who knows? 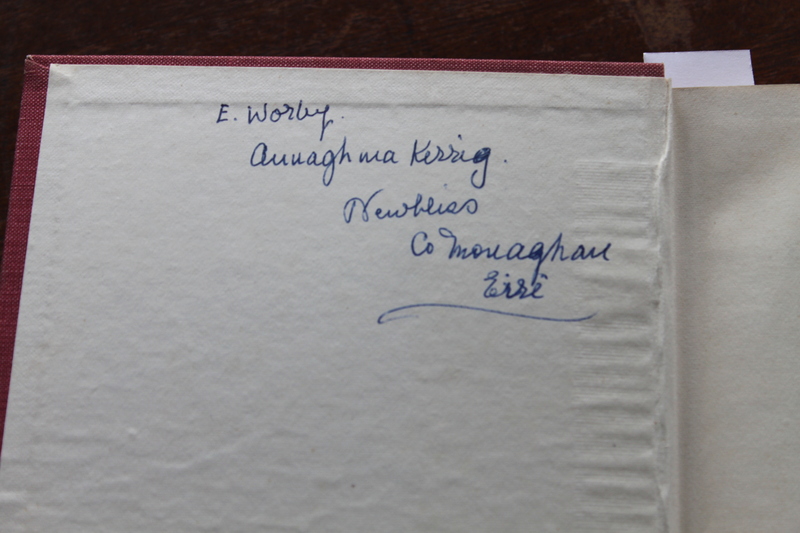 BUT, I found one of Miss Worby’s books in her lady’s chamber. Perhaps she wanted it back on her bookshelves! And did you write?, you might well ask. I had a week to divvy up: One day to drive up, and settle in, and one day to have a lazy goodbye breakfast, pack and leave. 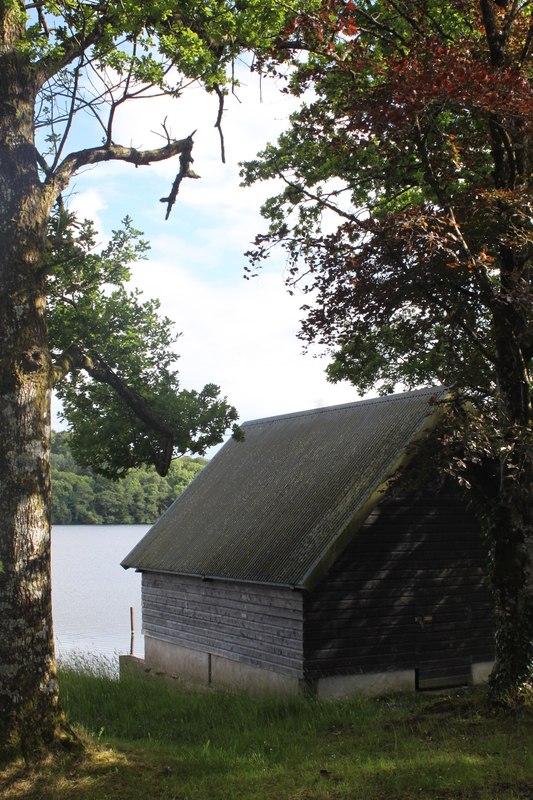 Walks around the grounds, photographing trees and the boathouse. A few hours here and there for driving out into the countryside. (I was under orders from the sister-in-law to visit Rockcorry before I went home. I had to inform her, the plaque isn’t up on the birthplace wall yet.) Socialising. More of which anon. And, work. I had a plan – work systematically through drafts in my notebook. One particular poem was giving me a lot of trouble. The great thing about being in the house was what I call the shame factor; I didn’t dare go down to the kitchen any later than 9.30am for breakfast. Mind you, I’d say neither staff nor residents would have given a toss what time I ambled down. Back at the desk, that first morning, staring out at the copper beeches, the lawn, the lake and sky … a new poem insisted on being drafted. And so, it began. I made a list every evening of drafts to work on the next day. New ideas, images, phrases, interrupted my plans. I let them. ‘You’ll get so much done’, a poet had told me. When I got home, I realised there were 17 new or re-drafted pieces for me to keep working on during the summer. Sometimes, I surprise myself in a good way. As a routine emerged, there was time for coffee breaks, and the fun of meeting up in the kitchen at lunchtime – swapping stories and encouragement. There was time for checking in on social media, and for sitting in the armchair placed between the shelves that form the poetry library. 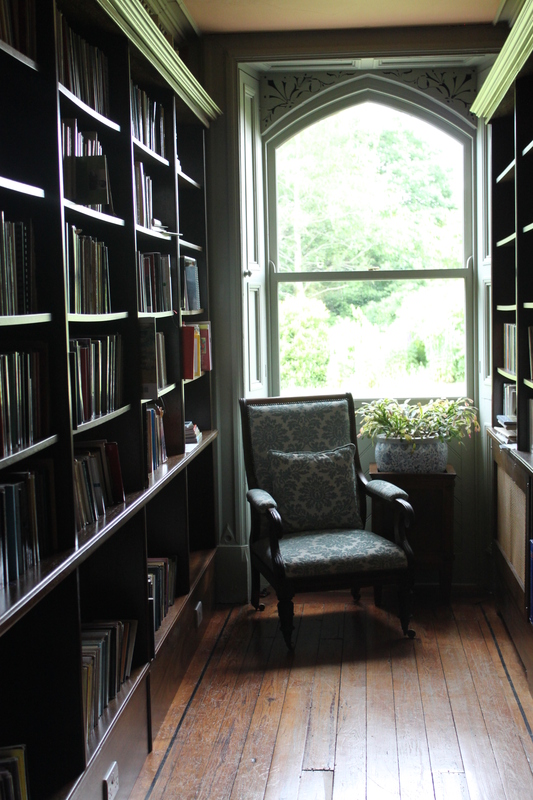 Reader heaven, that nook. Annaghmakerrig. The word should be a mantra. It’s a beautiful place. But it wouldn’t stay that way without the people who run it, care for it, and come to stay in it. Guthrie stated in his will that all residents in the house must meet at 7pm every evening for dinner. Some of the outbuildings are now converted to self-catering cottages – even so, those residents must come up to the main house for dinner once a week. The food is to die for; the hospitality of the staff, beyond compare. Artists, composers, writers of all kinds and of various nationalities enjoyed noisy meals – serving, chatting, helping in the clearing up afterwards. 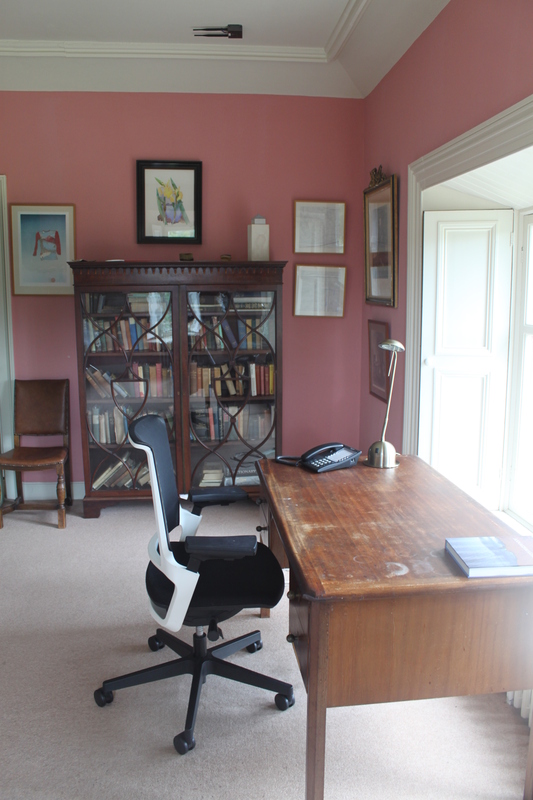 On Midsummer’s Eve the writers read work in progress in the drawing room – then up to the composer’s studio where Laura played some of her work for us. Kiki – an artist – produced bottles of fizz to toast Midsummer. 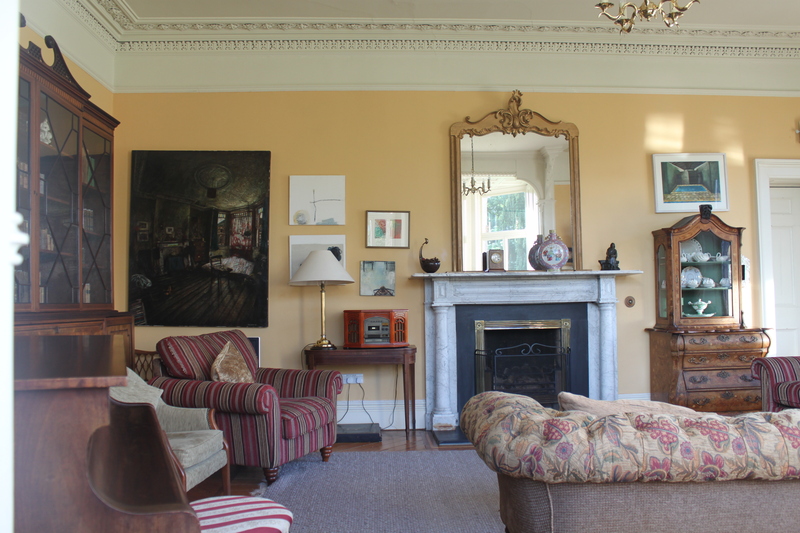 Later in the week, we cosied-up in the drawing room: chatting, listening to music and – a find this – an old recording of Guthrie’s voice … a talk recorded for the BBC. There is a bust of Tyrone Guthrie in the hall. Every morning – as I made my way to the kitchen for that day’s breakfast larks – I touched him on the head and said, Thank you, you dear man. It’s impossible to truly reveal Annaghmakerrig in a blog post because, I suspect, its importance is unique to every person who stays there. Annaghmakerrig makes us reveal ourselves: to the page, to the instrument, to the blank canvas, to the landscape, to the house too, and – whisper it – to ourselves. its place in the scheme of things. So – as I said on my webpage, I just went out for some milk. Don’t need the phone, I said. You have a missed call, the phone said. 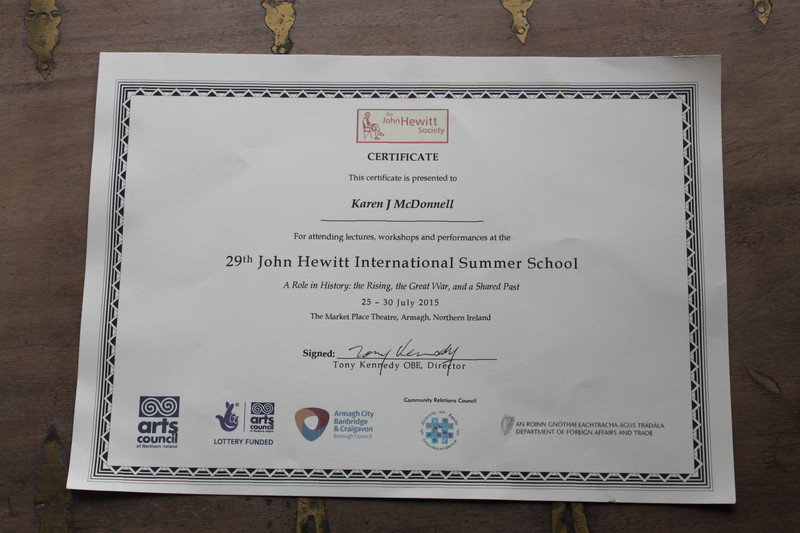 And so began the journey to the John Hewitt International Summer School – on a full bursary, no less. Many thanks to the mandarins at the Department of Foreign Affairs. May I just say at this point – WOWZA!! If you took in every event on the programme – and I took in a great many – you could have spent 12 to 14 hour days at the Market Theatre in Armagh. And that doesn’t count drinking time, or open mic time down Abbey Lane. May I also say, Market Theatre – great venue, chaps! On the daily menu was a Talk (yes, with a capital T), Poetry reading, Fiction reading and Q&A, Creative Writing workshops, another Talk or Discussion, more poetry, or music, then in the later evening more music or theatre or both! How to pick the highlights? I could say that as a writer of (mostly) poetry, that the poetry resonated most with me. I’ve been a fan of Sinéad Morrissey for a long time – since I took a workshop with her many moons ago in Dublin’s Writers’ Centre. It’s always a pleasure to hear new work from her … and she treated us to new work. Reading with Sinéad was Sarah Howe, who scooped the T.S Eliot Prize with her eloquent debut Loop of Jade. You can find out more about Sarah here. The poetry readings throughout the week fizzed – they were so diverse, so lively, so engaging. 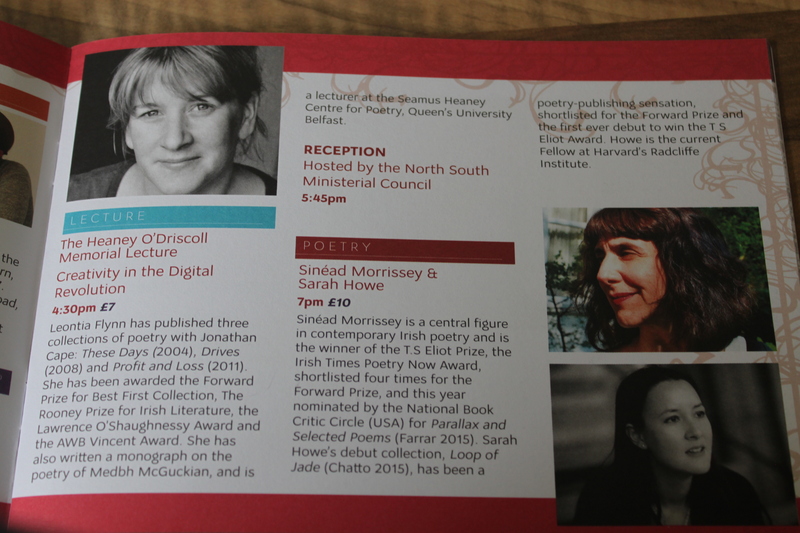 And big congratulations to the JHISS committee not just for getting these poets, but for the way they paired them at readings. So we had Matthew Francis celebrating the 20th anniversary of his first collection – reading from it, but also from the atmospheric Muscovy – teamed with Jane Yeh, who had us all travelling in spirit with a panda who didn’t want to leave Washington Zoo for China. I love the look of Jane’s website. There was another interesting team on Wednesday morning, with readings from Catriona O’Reilly and the wonderful Andrew McMillan – told when being introduced that he ‘must try harder’. Guffaws all around – this guy has won nearly everything going! His vivid poems of male love and longing will stay with me, but especially the poem about the electrician’s (I think) grand-daughter: a simple text setting off the spark that we writers capture with gratitude and, when lucky, build to a flame. McMillan certainly did with that poem. There were readings by the Gallery Press poets, Ciaran Carson, Eiléan Ní Chuilleanáin – our new Irish Professor of Poetry – and Tom French. Plenty of food for thought in these readings, which finished with a lovely acknowledgement of the ending of independence for the Dept. of English at QUB. Anyone in the audience who had studied at the department was invited to join the poets on the floor, while Cillian Vallely played an exquisite slow air on the uileann pipes. It was a well judged and moving tribute. There were talks about poets too. 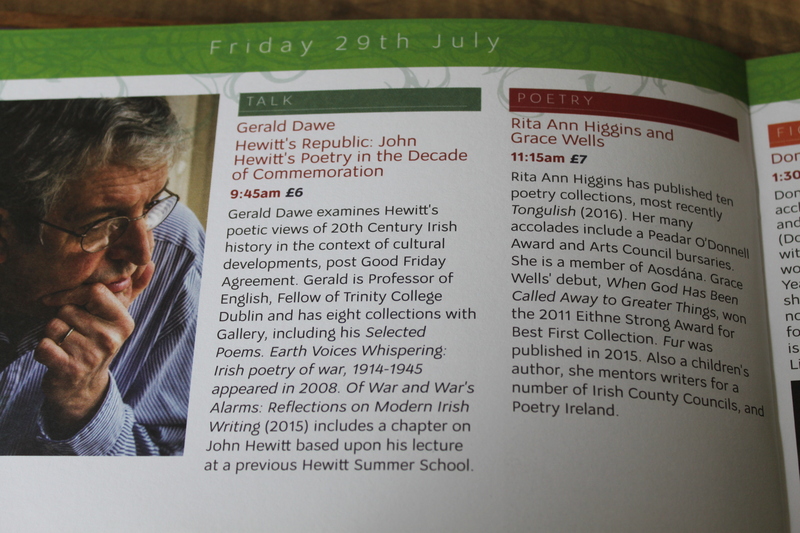 Patrick Toland gave us a great account of Willoughby Weaving (great name) – a teacher and WWI veteran, and this year’s John Hewitt lecture was given by Gerald Dawe – reflecting on the poet in this decade of commemoration. That was the theme of the Summer School this year – and some great discussions ensued, both inside and outside the theatre space. Lucky us to be able to engage with people such as Ruth Dudley Edwards, Jeffrey Donaldson, Tom Hartley, John Concannon, Dawn Purvis and Bernadette McAliskey. I haven’t even mentioned the fiction, nor the performances in the evening. Though I have to mention Martin. I spent the first couple of days channelling John the Baptist … preparing the way for Martin. That would be Martin Hayes for you uninformed lot. Martin – or, our National Treasure, as I like to call him – played the fiddle, with uileann piper David Power – another mighty musician. Ah – it was just class. Simples. And then there were other readings – more poetry from Rita Ann Higgins and Grace Wells, and the Friday night showstopper that was Paul Durcan. They had to move him to the ‘big hall’, such was the demand for tickets. Sheer bloody brilliant, was Paul. What else, now? Well, Catríona Crowe of course. She of our National Archives and much more besides. Always an engaging lecturer and commentator … her talk was a great way to start a day. I took Nessa O’Mahony’s workshop. I enjoyed putting poetry aside for a few days to concentrate on structuring fiction. Nessa will be back with another course at the Writers’ Centre in Dublin this autumn, folks. Get details here. What did I take away with me? An image … a subject for a novel, or at least a poem. 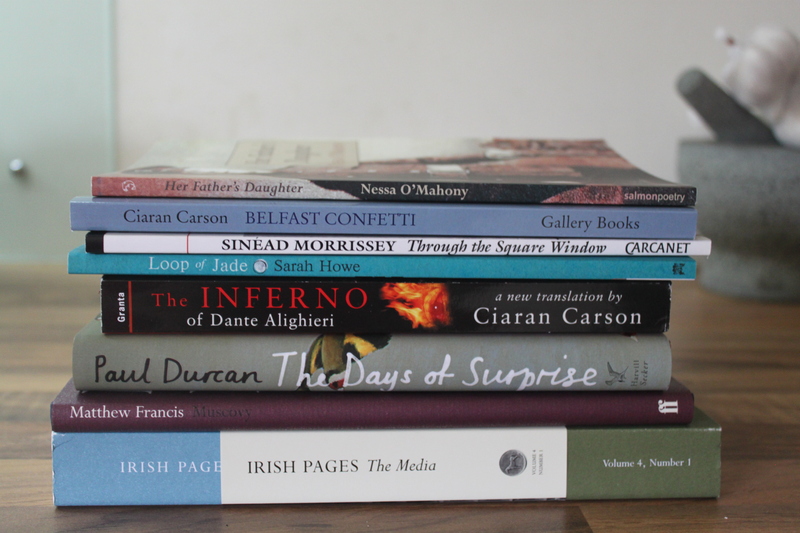 Two new, roughly-drafted, poems – one of which is called’ Paul Durcan made me cry’. He did, the terror. Once with pleasurable melancholy, then tears accompanied by fits of laughter. New buddies. 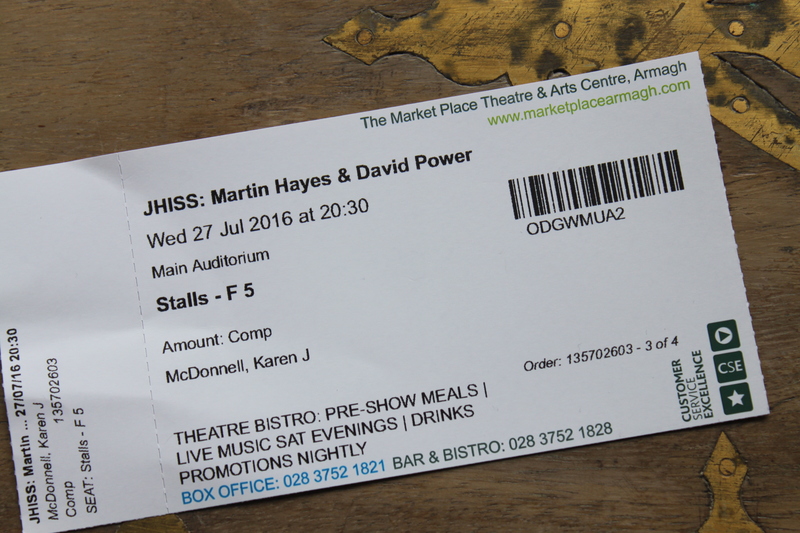 Niall McArdle says, What happens at JHISS stays at JHISS. I say, Hotel breakfasts will never be the same, guys. Gratitude to the bursary system that allowed me to attend the JHISS for the whole week, to visit Armagh, and to link up with cousins and a friend who travelled from Belfast to be with me. Of people I met, of panel discussions, a line of poetry, notes still ghosting the air after musicians had left the stage, of Paul Durcan giving time to everyone he signed books for. Of David from No Alibis with his fab book stall, and the 10% price reduction! As you can see, I made a few purchases. Finally, the people who made it all happen: Tony, the Pauls, Anne-Marie, Carmel, Bill, Stephen, Martin, and the gang at the front desk. And, to quote Tony, ‘The coolest mayor in the world’ who presented us all with our certificates. Thanks, JHISS. Thanks, everyone – I had a blast. I can’t believe it’s a year since I entered the Wild Atlantic Words poetry competition, organised by The Hungry Hill Writers. To recap: I entered, I won second prize, and that prize was a week at the Creativity Cabin on the Beara peninsula. 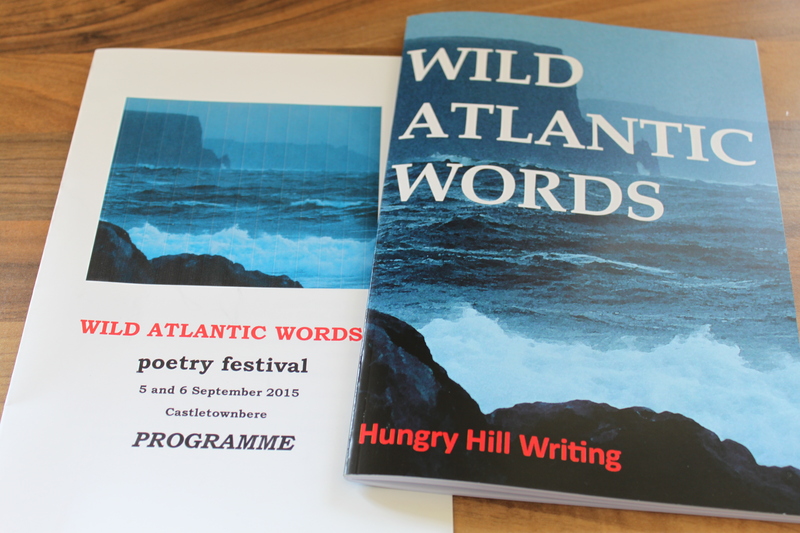 Last year, I blogged about the Wild Atlantic Words Festival. It’s about time I wrote about the prize. Sometimes, we need a bit of affirmation to push us forward on the creative path; when that push comes, it’s wonderful. When it comes in the shape of a week’s retreat, it’s invaluable. The cabin is owned by Anne, Stephen, and young Adam. And when I was there it came with an animal pal brigade made up of Checkers (or Chequers), Tiger, and Mackerel. When I arrived in the balmy ‘indian summer’ that was late September 2015, the family was away and the cats settled me in. It took a while to realise that Mackerel was blind – but with Tiger as his aide-de-chat he managed very well. 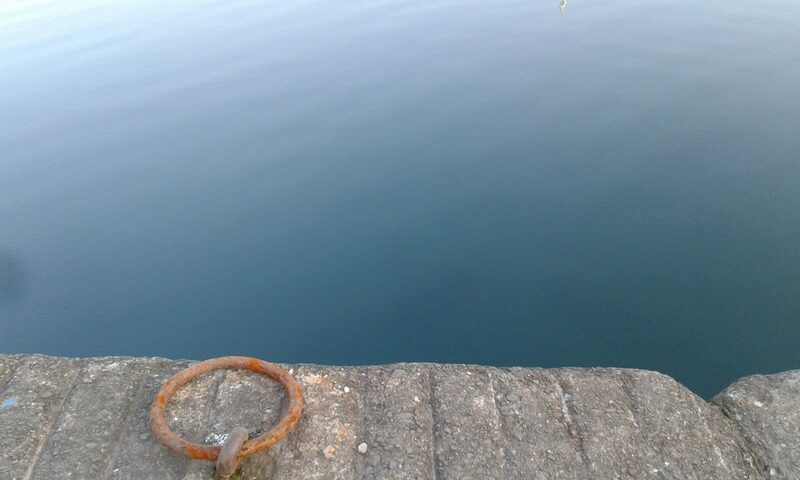 Before leaving north Clare, I had tried to anticipate my every need. When I got to the Cabin I found Anne had done all the work for me. There are plenty of pots and pans and – essential for this coffee fiend – a cafetiere. Firewood is provided for the stove, and there is an honesty box to pay for briquettes if you need them. I was lucky – I only used the stove a couple of times, because the weather was good. Hats, a high viz jacket and torch are provided for walkers. 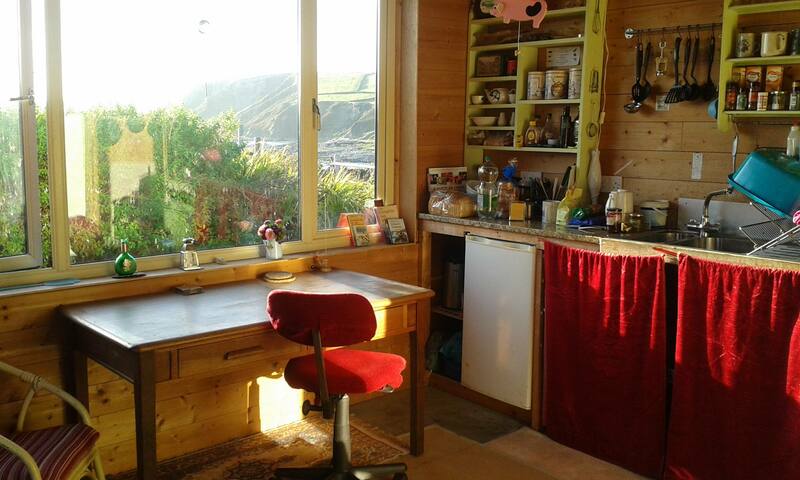 The Creativity Cabin clan have tried to think of everything to make one feel at home – and have succeeded. The space was cosy – I loved the little bedroom. 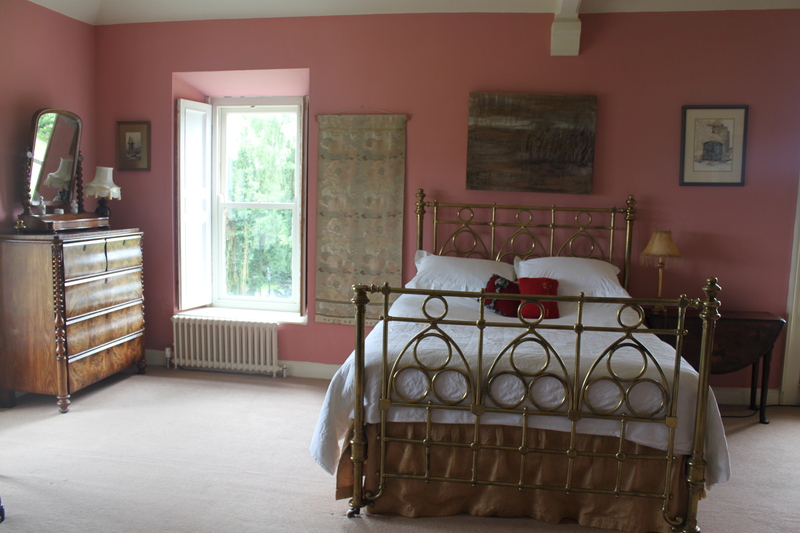 It felt like a cross between a hippie bedroom in Wallander and the Little House on the Prairie! Plenty of storage in the main room and the bedroom, and a comfy sofa to throw yourself into. I brought my CD player, but didn’t need it – one there already. There are CDs and books on the shelves, just in case you want to travel light. And the table sits there, underneath the window, facing the landscape, challenging you to do something. You can self-cater, or Anne will do B&B, or the whole shebang. Outside, there’s a box bench where Anne will leave food if you don’t want to be disturbed. Privacy is respected, and there’s a lovely communication set-up involving bells hanging from the washing line, and coloured flags. When I was there an old wooden chair and table were in the garden. It was warm enough to sit outside and write. That’s water in the glass by the way. Ahem. A little manual will tell you the dos and don’ts. Those puddy-tats aren’t allowed in the cabin because Anne wants the place to be ok for allergy sufferers. As I said – they think of everything. The nearest villages are Adrigole and Eyeries. If you do self-cater, stock up in a supermarket on the way to Beara. There’s also a Supervalu in Castletownbere on Beara. And – very important, this – don’t forget to bring some of your favourite treats. You’re going to be working a lot of the time, with a bit of luck. Be nice to yourself! At first, I felt guilty if I started late, or took time off. But the weather was too glorious to ignore, and I was all the better for my meandering. 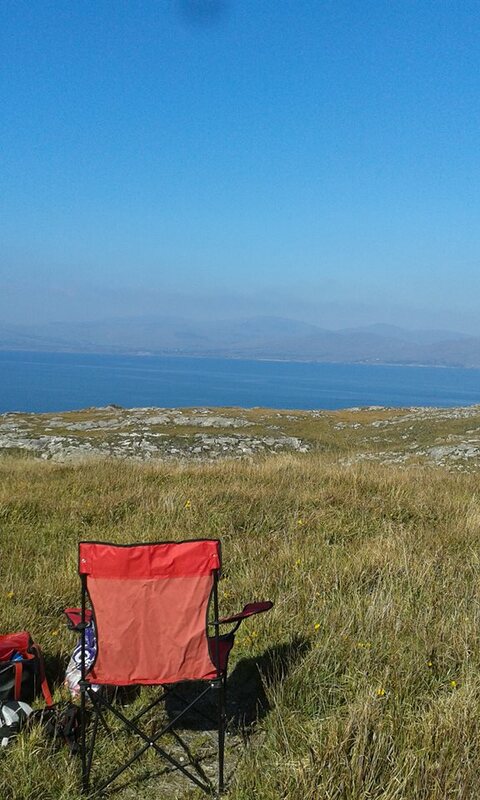 I took off on the Beara Way for a picnic on 2 October, and got a poem out of it: ‘People This Little World’. I hope it will be the title of my first collection. Although I was giving out to myself for not getting all of the ‘planned’ writing done, I came home with the genesis of five new poems, two of which were for the project at hand. And of course the remaining poems were in written to meet the deadline. ‘Obsignatores: A poetic sequence in response to the journey of Friar William of Rubruck to the court of the Great Khan Möngke,1253-1255‘ is to be published in an academic anthology in the U.S.
Picnicking in Ireland in October! Alert the Media!! I can’t recommend the Creativity Cabin highly enough. 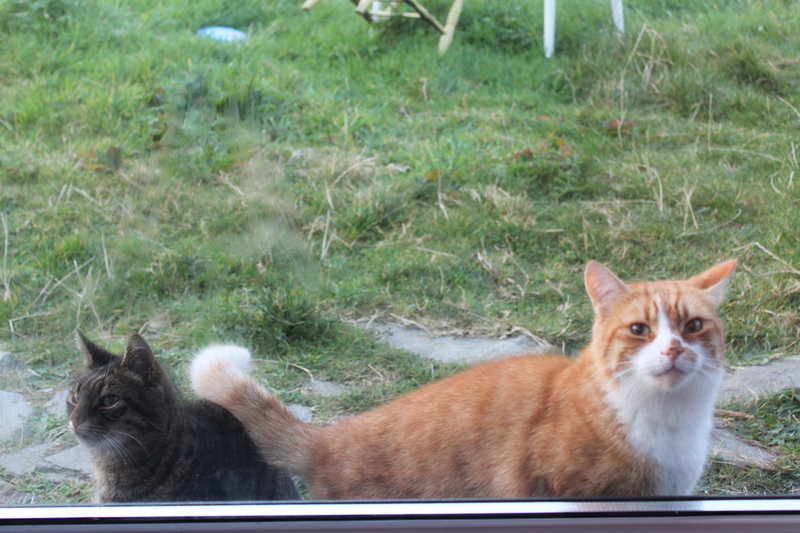 I had the space I needed, yet friendly faces – human or furry – were nearby. 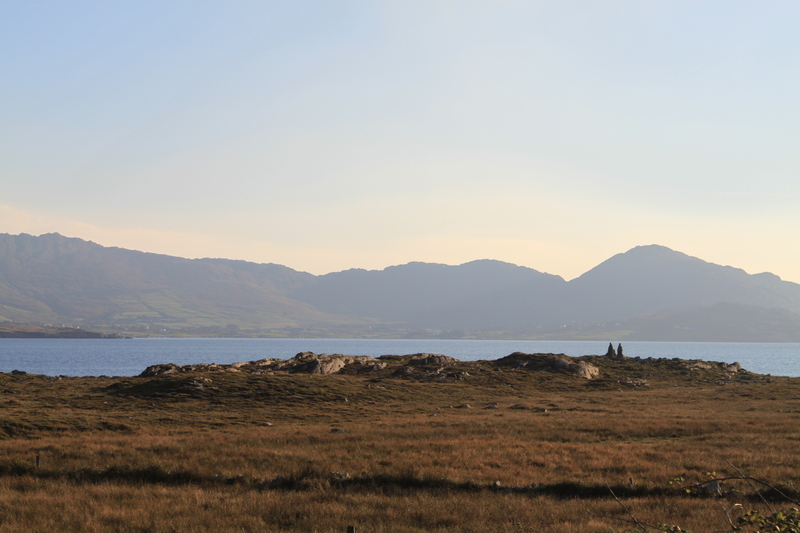 The whole of Beara is a drive away, as are the pubs and cafés. The Hungry Hill writers meet every week, and invited me to join them while I was there. It’s a good example of the kindness and welcome that awaits anyone who stays at the Creativity Cabin, or who goes to Castletownbere for the Wild Atlantic Words Festival. I entered a competition; I got a push forward. I went to a retreat; I found friends. To find out more about this year’s Wild Atlantic Words competition, click here. To book some creative time for yourself at the Creativity Cabin, click here. 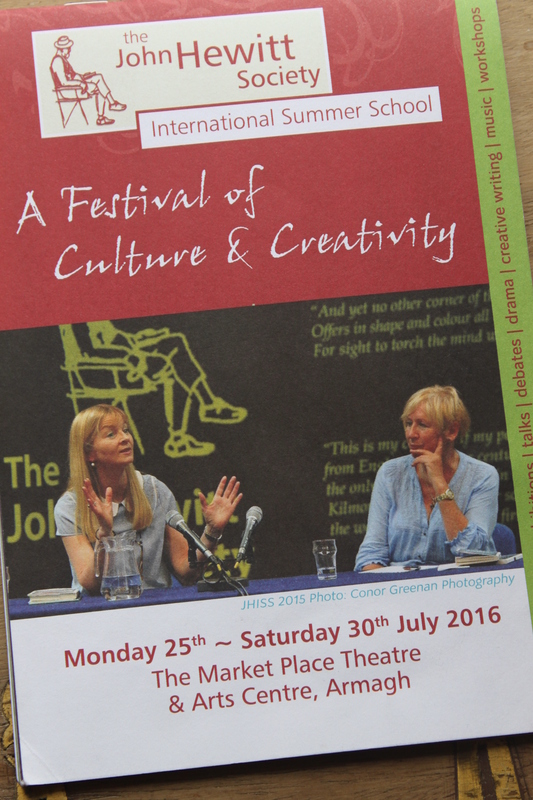 My previous post mentioned the trip to the West Cork Literary Festival. While there we headed out to Castletownbere as a friend of mine, Christopher Banahan, had an exhibition at the Sarah Walker Gallery. You can find out more about Chris and his artworks here. 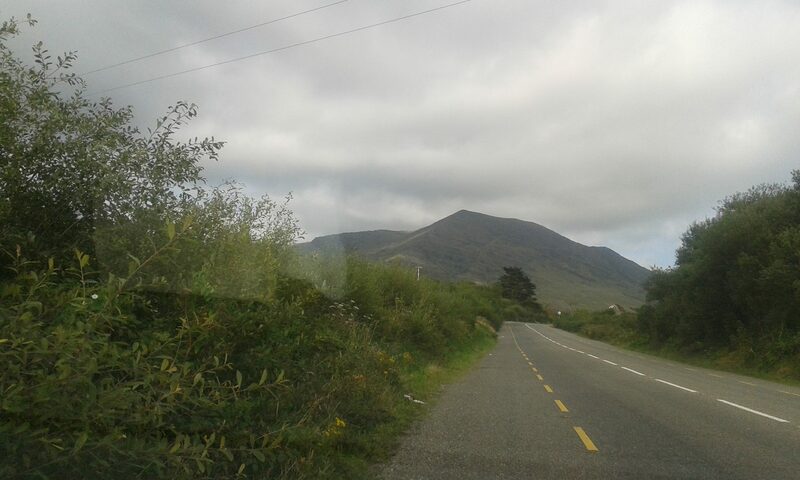 As we drove back along the peninsula, I saw a sign for Hungry Hill – the highest peak in Beara. I mentioned to my aunt that I’d entered the Wild Atlantic Words poetry competition, organised by the Hungry Hill Writing group. Wouldn’t it be nice, I said, to be able to come back to the festival in September. … at the Sarah Walker Gallery. It’s daunting, walking into a new space to meet a new crowd – some of them with more than one collection under their belts. Within minutes, I felt at home and welcome. Jennifer Russell bested severe back pain to introduce the work, judges and readers. First up was Maxine Backus who sponsored and judged the Under-14s competition. As she said in her introduction, the maturity of the work by these young poets was astounding. Many, many congratulations to Saoirse Molly Joy who took both first and third prizes, and to Niamh McCarthy who took second prize. It was lovely to hear the girls read their work. I’ll be keeping an eye on journals of the future for these two names. The Wild Atlantic Words Anthology was launched on Saturday night, and contains poems by the prizewinners and commended writers. John Bayliss Post put the anthology together as well as managing the competition and publicity. The theme of the competition was the sea, and the variety of responses was wonderful. 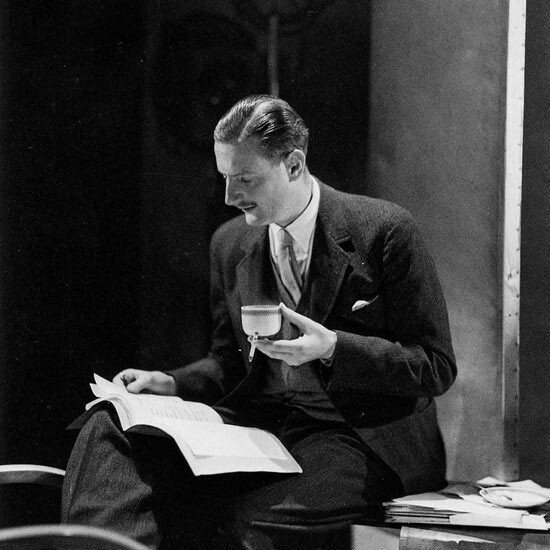 Winner Tim O’Leary travelled from England to read Sea of Jazz – a riff of couplets. Majella Kelly’s third prize and commended poems, Anadromous Vocabulary and The Seven Tears of the Seal Song, were richly imaged … demanding re-reading. I loved the line ‘the seabed is a Tiffany of wares’ in a commended poem, Skating through the Atlantic by Gabriel Griffin. Judge Breda Wall Ryan introduced the three prizewinners. Listening to her comments, I felt we were lucky to have such consideration and attention paid to our submitted work. 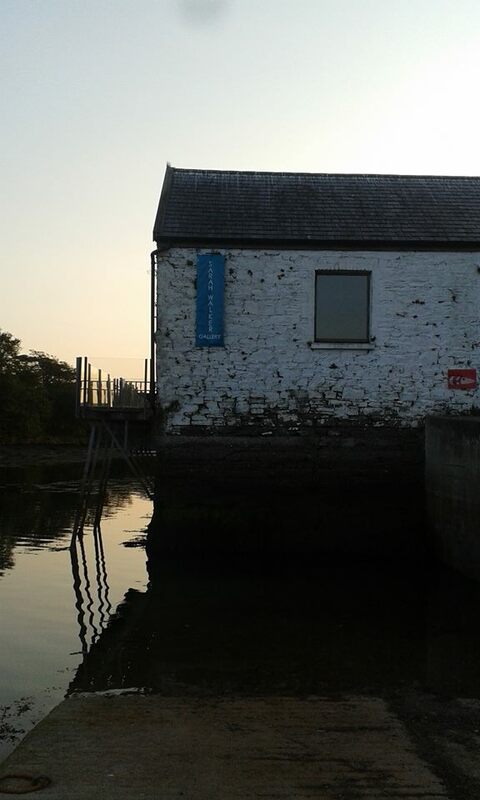 There was a short break – time to take in the gently fading evening and for a coffee at MacCarthy’s Bar – before heading back to the gallery for the Open Mic. This was fun as John suggested we sit in a circle and read turn upon turn until the poetry dried up, or we did! We even had ukelele playing courtesy of Claire Barton – a great way to wrap up the evening. Sunday morning and after a well-deserved B&B brekkie, back down to the gallery for a workshop with Breda. I should mention here that on Saturday, as I was negotiating the traffic on the motorway and the hold-ups at Buttevant, other lucky adults were attending workshops with Afric McGlinchey, while Annette Skade was taking a children’s workshop in Castletownbere library. Six of us, plus Breda, spent a very productive time working on the concept of sequence poetry – the promise and terror that holds! I’ve definitely got one new poem opening up to me. Also, I woke up at 4.30am on Monday morning with the opening lines of another one breaking in my head. I love the jump-leads effect that workshops have on the idle engine that is my poet’s brain! Thank you, Breda. After another quick break at MacCarthy’s Bar (there’s a pattern emerging here! ), we headed to whiteRoom café just off The Square. 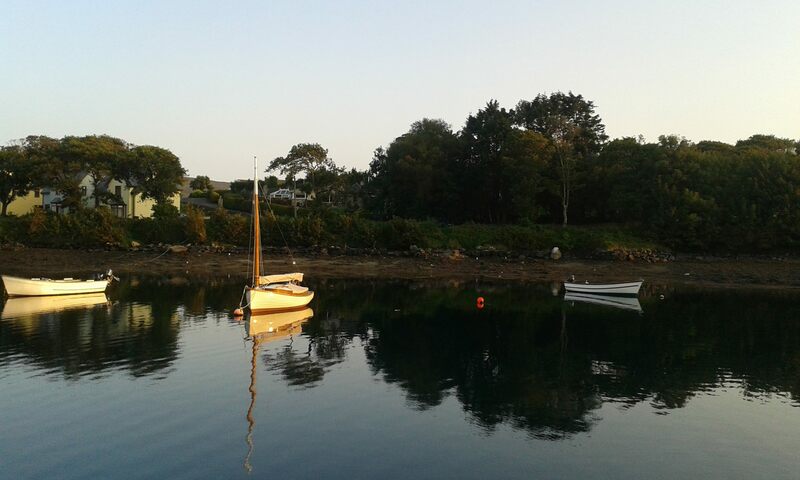 Castletownbere has some great venues, it has to be said. Annette, Afric, and Breda read published and new poems. I know I’ve said it here, or on my website, before, but the readings and the open mic the previous night just reinforced it for me: the variety of thought and creativity of which the human mind is capable is heart-stirring. Especially in these days of world-strain, broken things, partings and death. It’s a funny old world. I waited for months to get the shortlist results for a different competition – something I’d really set my sights on. No luck there, just disappointment; as happens to us all from time to time. 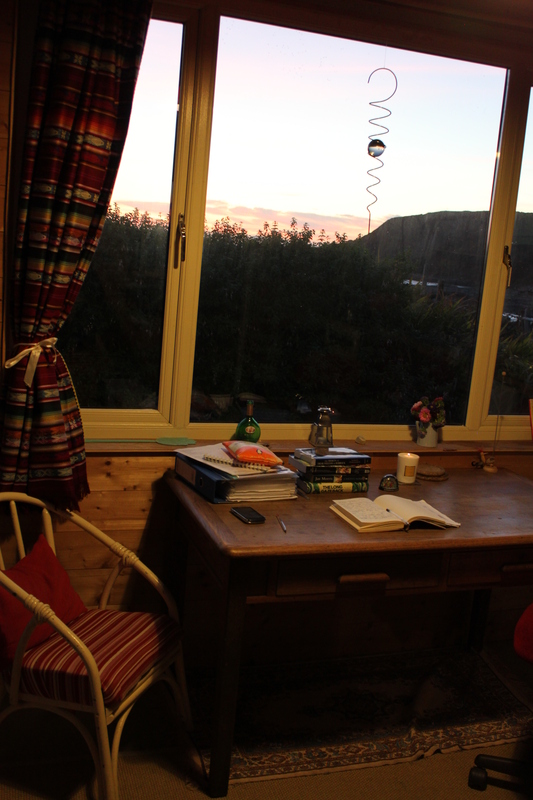 Then Wild Atlantic Words happens, and I get a prize to beat all prizes … a week away in a creative space. Win cash, and it’s going to get spent on house insurance or new tyres for the car – whatever you’re having yourself. But, free accommodation for a week? Priceless! How lucky can a girl be? This weekend I met Anne who owns The Creativity Cabin and who’s also a member of the Hungry Hill Writing group. To find out more about The Creativity Cabin click here. I arrived a stranger in Beara, but I’ll be returning with an invitation to sit in on the weekly meet-up of the Hungry Hill writers. Boy, did I get what I need.